Over the past 15 years, the Partnership for Transparency Fund has gained significant experience on what works, and what does not, in citizens’ efforts to fight corruption and improve the delivery of government services. Our most promising successes have been at the local level. As we set out to apply the lessons of this success to impact systemic corruption at the national level, it was clear that these approaches could not easily be replicated nation-wide without the use of information and communications technology (ICT). 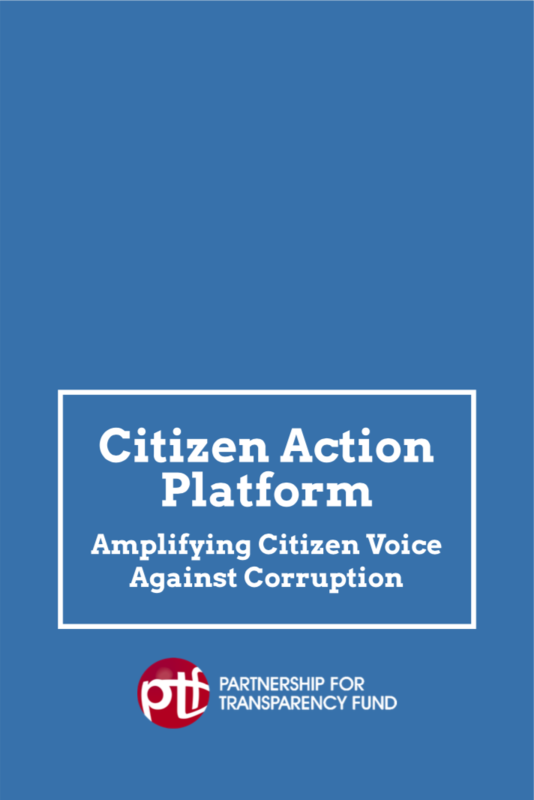 As a result, we developed the Citizen Action Platform, or CAP, to revolutionize the high-value, but high-cost of citizen reporting and monitoring of public service delivery. The program?s pilot in the Apac district of Uganda, implemented by the Anti Corruption Coalition Uganda (ACCU)and The Apac Anti Corruption Coalition (TAACC) with the support of Transparency International Uganda and UNICEF, has proven to be highly effective in reforming public health services.